My next installment in the greying white guys series is Irish legend Van Morrison. Morrison has put out 40 albums but I own exactly one of them. Actually, I own two if you count my wife’s copy of 1997’s The Healing Game. I’m not really sure where or why she picked that one up but it features a couple of nice songs. The other album is, of course, Moondance. That 1970 classic is among the finest albums ever recorded, 40 minutes of pure perfection. Some would say Astral Weeks is Van Morrison’s masterpiece, but I never got into it after trying hard for a few listens. No, Moondance is the one. And among Moondance‘s ten tracks, I’d have to say that ‘Into the Mystic’ is the standout. A strong case can be made for ‘Crazy Love,’ ‘Brand New Day’ and the title track (hell, all of them), but ‘Into the Mystic’ has a little extra something that gives it the edge. Maybe it’s the fog horn whistle blowing. Or the gentle shuffling music over the first verse that reminds me of a ramshackle ship at sea. Or the magnificent crescendo that leads to the “I want to rock your gypsy soul” part. Probably it’s all of that stuff and a whole lot else. Eight hundred Songs of the Day isn’t a traditional milestone but it’s a nice large even number worthy of the best song on one of the best albums ever. 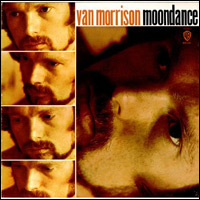 This entry was posted in song of the day and tagged Into the Mystic, Moondance, Van Morrison. Yes, yes, and yes again. All of those things. Not to mention just how magnificently the song captures the desire to rock your gypsy soul. Just like way back in the days of old. Yup, this is a song that would easily find its way into a list of my top 10 (5?) songs of all time. And I, too, have little use for much else by Van Morrison (besides, of course, the rest of this album), which is just fine with me. Agree with everything you have said. And congrats on SOTD 800! Wow 800 songs! Congratulations! This is one of my all time favorite songs and albums, a great choice. The foghorn reminds me of how Dylan drags out “freeeight train” in Simple Twist of Fate. Doubt Van would make much of that as he claims all his influences were black. I’m impressed that the perfection of this song crosses the gender divide. It’s in the running for most perfect love song of the last half of the twentieth century, but maybe it’s just a perfect song that happens to be about love. There’s moments of letting loose the full emotional power of the voice, which is more a constant on Astral Weeks. Here it’s controlled to great effect. There’s so much emphasis on the lyrics in Van songs, which is silly cuz most of his fans will listen to him sing almost anything. Nonetheless, this song is an almost perfect marriage of all the elements: the voices of the instruments supporting the (that) voice, lyrics/images, rhythm. If you listen to the deluxe edition of Moondance with all the takes of this song (7 takes b/t 10 and 17 included) you can tell he knows he’s got something good. There’s no joking around this song. He just delivers w/ variations mainly in tempo.